RS Cyberedge (India) Pvt. Limited integrates in its Products with many Third Party / Banks Payment Gateways. The usage of the Payment Gateway integrated with products of RS Cyberedge (India) Pvt. Ltd. will be governed and or subject to the below mention Payment Gateway Terms & Conditions. Service Provider: RS Cyberedge (India) Pvt. Ltd., hereinafter will be referred as "We" and or "Service Provider" and are interchangeable. It also represents any group company /subsidiary company of RS Cyberedge (India) Pvt. Ltd.
Association / Society: "Association" and "Society" are used interchangeably. 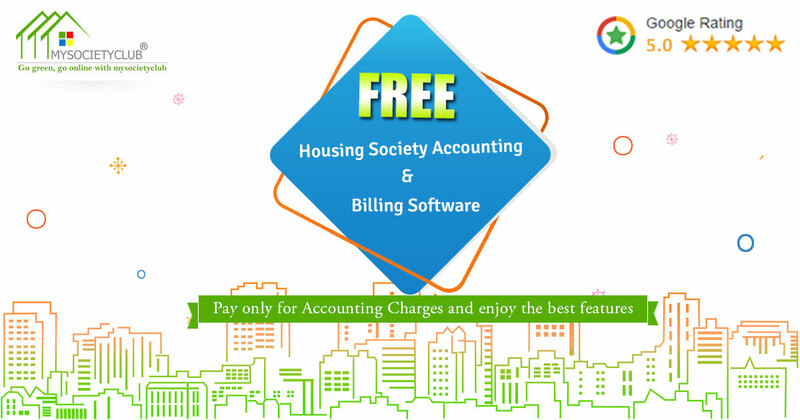 This Term can also be used to indicate Housing Society, Resident Welfare Association, Apartment Welfare Association, Property Builder, Facility Management Company, or any organisation authorised by Payers to collect from them. PGI: Shall mean Payment Gateway Integration, and will imply all screens on the Products of RS Cyberedge (India) Pvt. Ltd. where Online Payment functionality is made available. PGI User: Means any person holding a Valid Credit Card/Debit card/Net Banking Account and who desires to pay the Association for the Services listed by the Association on the Products of RS Cyberedge (India) Pvt. Ltd., and makes payment for the same over the Internet on any of the RS Cyberedge (India) Pvt. Ltd.’s Products using a Valid Credit Card/Debit Card/NetBanking Account. Issuing Bank in respect of an PGI User, means the bank which has issued the Valid Credit Card to the PGI User with which PGI User makes the payment. Service exclusively means any service that the Association offers to provide / has provided to the PGI User, the payment for which is being made by the PGI User. RS Cyberedge (India) Pvt. Ltd. integrates Payment Gateway in its Products, and makes it available for the collection of dues by Associations subscribing to its Products on the Software as a Service model. The PGI User utilises the PGI upon agreement with the below Terms. While the Terms apply to every PGI User, it is of utmost importance for the Association to understand and agree to these Terms before Activation of the PGI. "Products" shall mean goods and/or services offered for sale by the Sub-Merchant on the Master Merchant’s Website. "Customer" means persons who will purchase Products, offered by the Sub-Merchant on the Master Merchant’s Website and through the Internet Payment Gateway using a Valid Card or net banking account or any other acceptable modes of payment mechanism, provided by PayU. "Nodal Account" shall mean the nodal bank account held by PayU with any of the bank for the purpose of facilitating online payments with respect to RBI notification dated 24th Nov 2009. "Sub-Merchant" shall mean distributors and franchisees who a have entered into a contract with the Master Merchant in order to sell the Products to Customers through the Master Merchant on the Website. RS Cyberedge (India) Pvt. Ltd. has integrated third-party Payment Gateway(s) in their various product which can be availed by Associations for collecting Dues from its Owners/Tenants/Vendors/Registered vendor. For this facility, RS Cyberedge (India) Pvt. Ltd. plays the role of an Online Collection Agent (Merchant) for the Associations. The Association shall ensure that all charges levied against the PGI User is valid and is meant to be collected using the "PGI". It will also maintain relevant Documentations (e.g., Bye-Laws, Membership Details) to substantiate all charges levied against the PGI User. The Association shall not input Credit/Debit Card or NetBanking Data on the PGI themselves or by the staff, on behalf of the PGI User. RS Cyberedge (India) Pvt. Ltd. will not be a party to any Agreement between the Association and the PGI Users – whatsoever. All agreements will be between the Association and the PGI Users. The Association shall ensure that all licenses and registrations required by the Association are in full force and effect to enable the Association to collect relevant charges/taxes from the PGI User. Any product or service which is not in compliance with all applicable laws and regulations whether federal, state, local or international including the laws of the Country where the Association belongs. The Association further confirms, undertakes and assures RS Cyberedge (India) Pvt. Ltd., the Card Associations, the Acquiring banks and the facility providers that in the event of violation of any of the byelaws and Standards of the Card Associations, Acquiring Banks, Facility Providers and RS Cyberedge (India) Pvt. Ltd. by the Association AND any penalty imposed by the Card Associations, Acquiring Banks, Facility Providers on RS Cyberedge (India) Pvt. Ltd. for any violation for any reason whatsoever, the Association shall on receipt of the claim from RS Cyberedge (India) Pvt. Ltd. undertakes forthwith without any demur, protest, dispute or delay, to pay to RS Cyberedge (India) Pvt. Ltd. the amount of the penalty / fine imposed by the Card Associations, Acquiring Banks, Facility Providers on RS Cyberedge (India) Pvt. Ltd.
RS Cyberedge (India) Pvt. Ltd., the facility providers and the Acquiring Banks shall not be responsible for the quality of Services to the PGI User. (Services imply those provided by Association to the PGI User. Please refer to Definitions for details). RS Cyberedge (India) Pvt. Ltd., the facility providers and the Acquiring Banks shall also not be responsible for any non-delivery of the Services to the PGI User. Provided that any and all disputes regarding quality, non-delivery and delay in delivery of the Service or otherwise will be dealt with by and between the Association and the PGI User directly and RS Cyberedge (India) Pvt. Ltd., the facility providers and the Acquiring Banks shall not be a party to such disputes. any claim by any other party against RS Cyberedge (India) Pvt. Ltd., the Facility Providers and the Acquiring Banks arising from sub-clause (a), (b), (c) or (d) above. Example of specific situations could result in a charge back claim. The PGI User moves out of the Residential Complex, the Move-Out fee is levied on the PGI User. The PGI User makes payment using his credit card, and later claims to the Credit Card company, claiming it to be an incorrect Payment. In this situation, the responsibility rests with the Association to have adequate documentation, to prove that the PGI User was a Member of the Association, as well as Bye-Laws that substantiate charging of the Move-Out Fee. In absence of such substantiations, or upon non-acceptance of any such substantiation by the Acquiring Bank, Credit Card company or Card Associations, any resulting charge back (cancellation of the payment by the credit card) has to be refunded by the Association. The PGI User uses a stolen Credit Card to make a Payment. The Credit Card company will later cancel all these payments, which must promptly be refunded by the Association. The indemnities under this Article are in addition to and without prejudice to the indemnities given elsewhere in this Payment Gateway Terms and all the indemnities provided herein shall survive the termination of the Subscription Agreement. RS Cyberedge (India) Pvt. Ltd., the Acquiring Banks and the Facility Providers disclaims all warranties, express or implied, written or oral, including but not limited to warranties of merchantability and fitness for a particular purpose. The Association acknowledges that the RS Cyberedge (India) Pvt. Ltd., the Facility Providers and the Acquiring Bank’s services may not be uninterrupted or error free. The Association also acknowledges that the services provided by the Acquiring banks and the facility providers to RS Cyberedge (India) Pvt. Ltd. which is passed on to the Association under the PGI agreement, can be in any event be brought to an abrupt end in any event whatsoever by any of the acquiring banks or the facility providers for any reason whatsoever. RS Cyberedge (India) Pvt. Ltd.’ sole obligation and the Association’s sole and exclusive remedy in the event of interruption to the Services or loss of use and/or access to the Products of RS Cyberedge (India) Pvt. Ltd., the facility Providers facilities and the Acquiring Bank’s Payment Mechanism and services, shall be to use all reasonable endeavours to restore the Services and/or access to the Payment Mechanism as soon as reasonably possible. RS Cyberedge (India) Pvt. Ltd., the Facility Providers and the Acquiring Banks reserves the right to impose limits on the number of purchases which may be charged on an individual credit card account during any time period, and reserves the right to refuse to make payments in respect of transactions exceeding such limit or from PGI Users with a prior history of questionable charges. RS Cyberedge (India) Pvt. Ltd. may terminate the PGI Agreement with prior written notice to the Association of at least 30 days if the Association commits any breach of the terms of this Agreement. Termination in Case of Violation of Law. RS Cyberedge (India) Pvt. Ltd., the Acquiring Banks or the Facility Providers or any of their directors, officers, stockholders, employees or agents are made the subject of a criminal or civil action or investigation or are threatened by such action as a consequence of use of the PGI by the Association. In addition to any other termination rights granted under this Terms of Service, either Party may terminate this Agreement on 30 days written notice to the other.